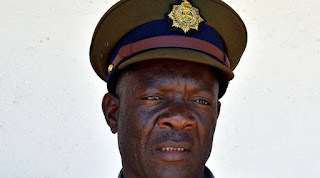 There was panic at a nightclub in Bulawayo last Tuesday when a security guard found what looked like a bomb in a male toilet. The authorities at Skittle Inn Nite Club immediately contacted the police who also contacted their counterparts at 1 Brigade. Engineers from 1 Brigade rushed to the nightspot and on inspection discovered that the object was in fact a perfume in a grenade like container. Bulawayo deputy police spokesperson Inspector Abednico Ncube confirmed the incident and said after the nightspot authorities reported the suspicious object, they contacted the army. “A team of engineers from 1 Brigade Bulawayo inspected the suspected bomb and discovered that the alleged bomb was in fact perfume in a grenade like container. The object was taken by army engineers for disposal,” he said. A security guard, Mr Sanele Ndlovu said he was conducting routine checks inside the club when he saw the suspicious object. “When I entered one of the male toilets, I was attracted by an object which was green in colour which was on an air vent and partially covered by a piece of paper,” he said. He said he became curious and retrieved the suspicious object. “At first glance, I thought it was a tear-smoke canister as it had what appeared to be a safety pin protruding at the top,” said Mr Ndlovu. He said upon closer inspection of the object, he suspected it was a hand grenade as it was inscribed ‘Spice bomb Victor & Roll’ on it. After convincing himself that the object was a bomb, he informed the club manager who in turn called the police. Mr Ndlovu said investigations concluded that it was a just a perfume container. He said due to the just ended violent protests that saw businesses being looted by hooligans, he panicked when he saw the suspicious obejct.